The holiday season is a perfect time to show your clients that you value them and their business. Top-of-mind with your clients (in a good way) is very important. Show your clients that you appreciate them in a genuine and thoughtful way, not in an “you better not go anywhere-here’s an expensive bottle of champagne” kind of way. 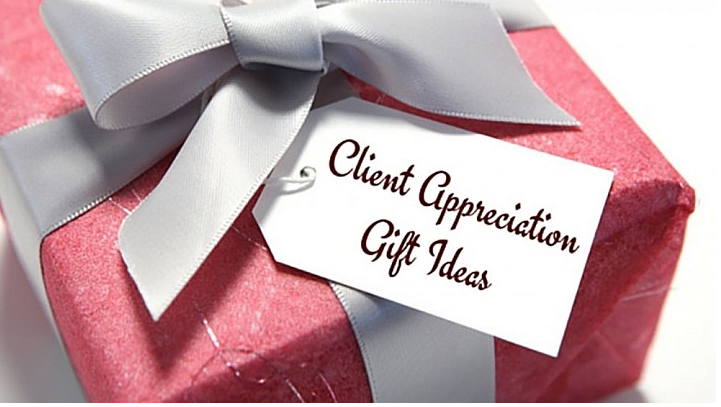 Here are five gift ideas to let your clients know that you appreciate them for many reasons, whatever the season. Subscription Gifting- What I like about this option is it shows your appreciation while allowing you and your business to stay on your client’s mind throughout the year. The best part is it’s simple as you can do it online. Subscription gifting demonstrates your thoughtfulness as you will need to find the perfect fit for your client. But remember if he or she is going to be receiving something from you once a month, it best be something they really like! Dining Gift Cards-to your client’s favorite restaurant. Fine dining is always associated with feel good vibes especially if you do it with your favorite people at your favorite place. If you don’t know your client’s favorite restaurant, ask their assistant or someone else in the office that knows them well. If you know when they want to go, reserve them the best table in the house. The Wine Thing– Wine is always a good standby gift for clients, unless of course they don’t drink. But if they do, give them a bottle with an occasion-appropriate design on the label and add their logo and mission statement or something that is unique to them and their business. Another fun wine idea is to sign them up for a wine club in their area. They may just think of you when they are toasting and enjoying an excellent bottle. Live Entertainment-Another fun idea is to give them tickets to a sporting event or live theater. Everyone can use a little spectator action and/or culture in their lives. Here again you will need to find out what sport or performing arts your client is passionate about. This is a unique gift in that it will encourage them to break away from the office and their routine and enjoy an “out of the ordinary” evening out. Monthly Movies passes-This is perfect for a more casual gift option. They can use them for themselves or give them to clients/customers. Once thing for certain is it will keep you on the forefront of their minds throughout the year. Plus, it is a good non-business topic you can share with them. When it comes to client gift giving this holiday season, think outside the corporate office gift box and give them something they will truly enjoy and remember throughout the year. This entry was posted in Uncategorized and tagged Client gift ideas, top of mind client gift ideas. Bookmark the permalink.